When a company launches an internal ethics or compliance investigation it’s often based upon information that comes from within the organization and has made its way to the legal department. Sometimes the information comes from outside sources, but generally a company’s own employees are the best resource for reporting impropriety. Issues can be spotted by the compliance department, raised in an internal audit or reported by a whistleblower. When an issue is raised by an individual who qualifies as a whistleblower, companies should proceed carefully given the potential risks of corporate liability. Also important is the way a company investigates the substance of a whistleblower allegation. A properly handled investigation is critical not only for avoiding a retaliation lawsuit, but it can also make a substantial difference between criminal and regulatory enforcement by the government or associated oversight board. In an internal investigation arising out of a whistleblower allegation, it is important to proceed deliberately and swiftly so as to not fall behind any simultaneous government investigation. Companies should consider retaining independent counsel, especially if the investigation is broad in scope or is likely to result in the involvement of prosecutors or regulatory agencies. Some important first steps in any investigation include gathering documents and interviewing key individuals. It is important to conduct an internal investigation that is both credible and reliable in the eyes of the various entities that may be interested in the results, such as government agencies, the company’s board of directors, or external auditors. The way a company handles an internal investigation can help protect it from costly fines, sanctions and aggressive litigation. We have written about the huge fines Ralph Lauren Corp avoided by self-reporting violations. Many courts have also dismissed defamation claims brought by whistleblowers against companies who responded in efficient and thorough manners when proving the whistleblower’s allegations unfounded. As long as codes of conduct and compliance are clear, and standards of procedure are followed, a company can feel secure in their ability to mitigate damage brought on by internal factors. Sometimes an internal investigation reveals that a whistleblower’s allegations are unfounded, and also that the whistleblower’s conduct is problematic. Although there is always a risk of a retaliation lawsuit, companies are able to make justified employment decisions when faced with these issues. In addition to the procedural decisions made at the onset of an internal investigation, i.e the need for outside counsel and the logistics of document collection, a company needs to figure out how to disseminate the results. For example, if the investigation reveals whistleblower misconduct, should the results be shared with management, general counsel or the audit committee or some combination of the three? 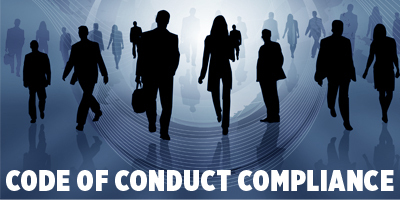 Special considerations may arise if the investigation involves the conduct of senior management. Depending on the circumstances of the company and its internal policies, each of these parties could have different degrees of responsibility and potential liability that are effected by the results of an investigation. Corporate investigations can be costly and stressful for a company and its employees. However, an internal investigation that is carried out responsibly can have a successful resolution and help a company respond to the many potential consequences of whistleblower allegations. Careful planning and execution can produce an internal investigation with clear and reliable conclusions.